The soul's job is to wake itself up, break out of shells, grow wings, and fly free. Awakenings, teachings, interests, understandings, new and different questions. Exploring both in and outside of religions. Religious studies, Q and A's, inspiring conversations. Personal Learning Plan partner coach goddess, empowering, celebrating, teaching all you want to learn and become. Writing, editing partner; WordPress website, blog-writer, word, excel, social media tech share projects; travel partner are examples. Personal Sliding-into-Home projects and legacy-leaving support. Personal readings and a different kind of card party, for entertainment and inner wisdom. Oracle cards are a spiritual tool; offering insight, confirmation, clarification...and conversation. When your spirit needs peace or insight, ask for a card reading. 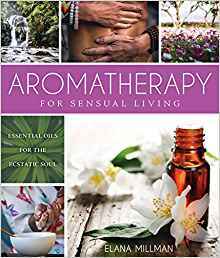 Essential Oils, support body, mind, life, and spirit. DIY recipes, resources.... love your body. ... the Angel reading you did for me a couple of years ago was one of the most helpful that I have had. - Mari G.